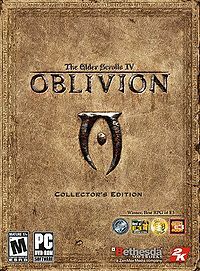 The Collector's Edition of The Elder Scrolls IV: Oblivion included additional exclusive content. It was only available physically by pre-ordering in retail. A "Bonus Materials" disc, including a behind-the-scenes Making of Oblivion documentary. A copy of A Pocket Guide to the Empire, Third Edition. This page was last modified on 9 November 2018, at 14:04.